Diamond Systems is a trusted partner for transportation customers worldwide. Our single board computers and I/O expansion modules are deployed in a wide range of fixed and mobile transportation-related systems worldwide. Diamond's products offer the features and ruggedization to excel in these harsh environments. Our products can be found in vehicles on roads, off-road, on rails, in the air, and at sea. We collect data and provide control in distributed ITS networks, traffic monitoring, and other logistical applications. Diamond is ISO 9000 certified and all of our products are managed with configuration control and change notification for our customers. Our Class III products are designed and built with long term availability and ruggedness in mind. Conformal coating and additional shock and vibration testing are also available for increased ruggedness. Access to information is critical for first responders needing criminal data, GPS location and mapping, wireless internet, and still and video image capture on the job. 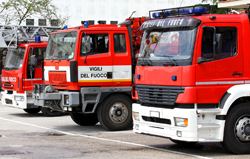 Enabling these capabilities and output the information on a small display panel within a variety of vehicles was the task for an Italian municipality in need of a rugged embedded computing platform. For the Russian railway, a Russian system integrator developed and implemented a specialized redundant SBC gateway system designed to work in the railway’s Automatic Train Control systems. This gateway fail-safe computer provides the intelligent interface between each station’s Automatic Interlocking Systems CAN network and the RF modems for communication with every train. In addition, the RF transmission of signaling information adds redundancy and functionality the normal terrestrial ATC systems. 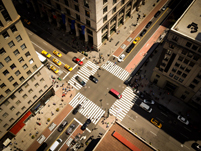 A leading Australian Intelligent Transport System (ITS) solution provider offers a complete and integrated enterprise system for road traffic authorities. ITS solutions improve safety and efficiency of the road network while slowing the trend towards worsening congestion. Their system offers motorway management, incident and even management, traffic signal management, real-time traveler information, and parking guidance. A farm equipment manufacturer's latest precision plot planter, sets a new standard as the most accurate on the market, providing consistent seed spacing, multi-crop capabilities, and integrated GPS. 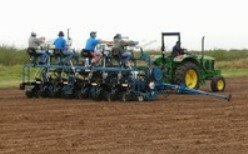 The planter control system is based on a modular state-of–the art PC/104 computer system from Diamond. The system offers high resistance to shock and vibration, and is rated for fanless operation over a -40 to +85 degrees C extended temperature range. An avionics information system uses a customized Hercules CPU and PC/104 power supply from Diamond to run several cockpit applications in a challenging environment. The unit provides a single source for all the supplementary and situation information that a crew needs for safe and efficient flight, such as checklists and manuals, maps and charts, take-off and landing speeds calculations, and much more. The system makes use of an air-ground link which enables it to efficiently transfer digital information between the aircraft and the ground. The Austrian Railway Authority (ARA) recently built a new high-speed rail system in Pöchlarm, in southern Austria. 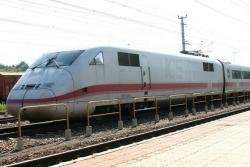 In order to verify the system performance, some tests were conducted with the assistance of the German ICE train system. A major concern was the ability of the overhead power lines to withstand the effects of a train passing by at speeds of up to 300Km/hr (186mph), a new speed record for trains in Austria. The Buckeye Bullet is an electric vehicle student project at The Ohio State University's Center for Automotive Research in Columbus, Ohio. 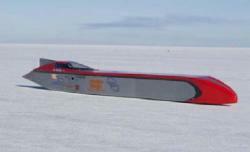 The "Bullet" became the first electric-powered vehicle in the world to exceed 300 mph when it reached a top speed of 308.3 mph on August 16, 2004, during the 56th annual Speed Week at the Bonneville Salt Flats in Utah. Subsequently, on October 14th at the end of mile 5, this was raised to 314.9 mph. The 314 mph run qualified as a new U.S. record in one direction. The vehicle later achieved speeds as high as 321.8 mph. A US police department uses Diamond's embedded products to remotely transmit digital video and audio to the police station for archiving.